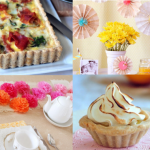 Craft trends are always fantastic to keep in mind when searching for a thrilling new project to make. Here you can get a head start on some of the hottest crafts for 2018! Resources like Pinterest, Google, The Columbian, and other sites have posted top searches from 2017 to predict 2018’s trends. Check out some of our favorite predictions below! These stunning beauties can take a formal outfit to the next level. Perfect for winter weddings and dressy dinners. 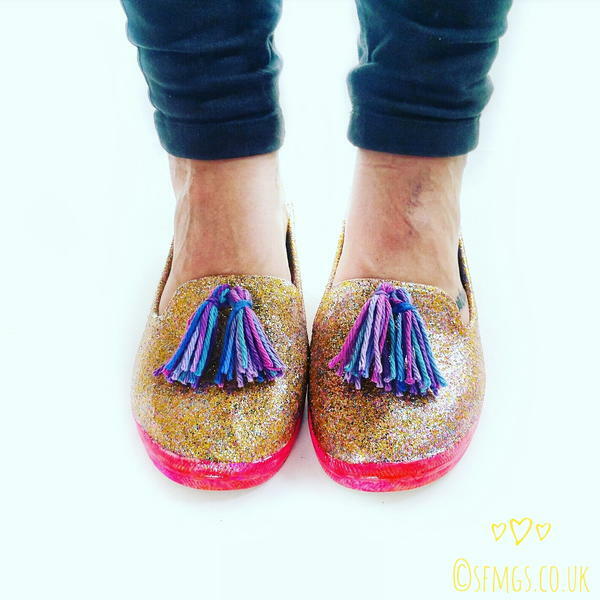 Whether it’s glitter, tassles, rhinestones, paint, tie dye, or really anything, customizing your shoes will be a hot craft in 2018. Paracord has been popular for a while now, but it’s still rising in popularity even into 2018! 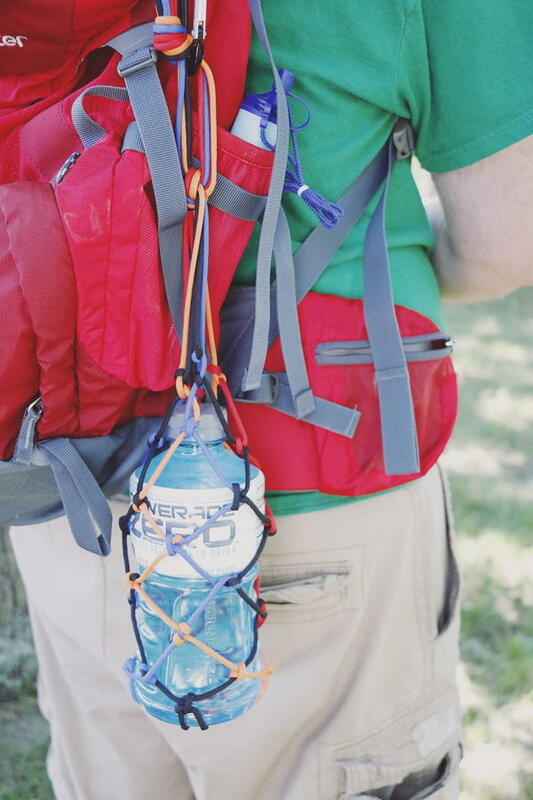 Get inspired with a variety of paracord project ideas. 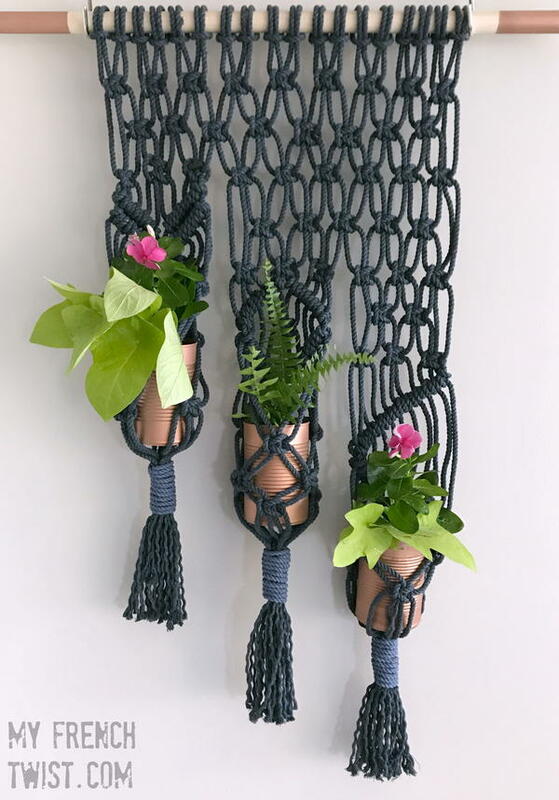 By the way, if you love paracord projects, you’ll love macrame. If friendship bracelets were your jam as a child, macrame is practically the adult version! Tie knots and make gorgeous projects. 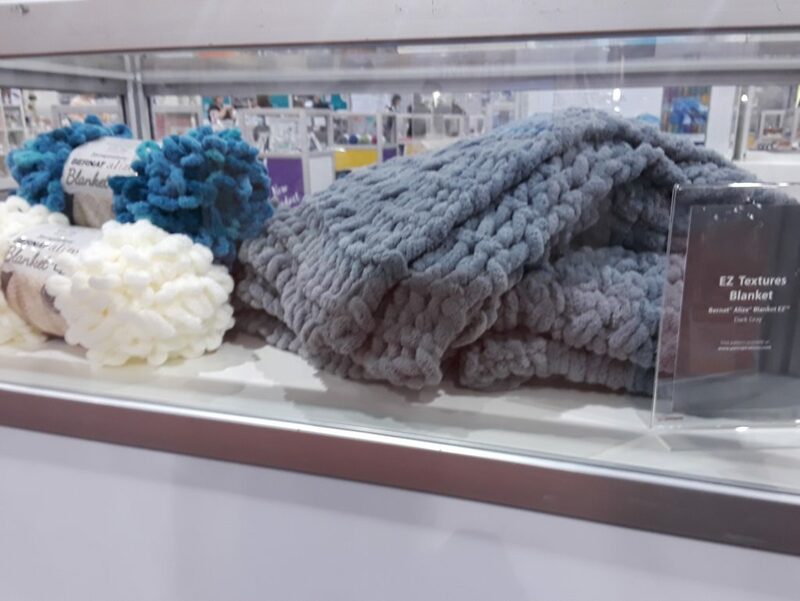 Giant knit blankets, scarves, and other accessories with jumbo yarn are rising in popularity! 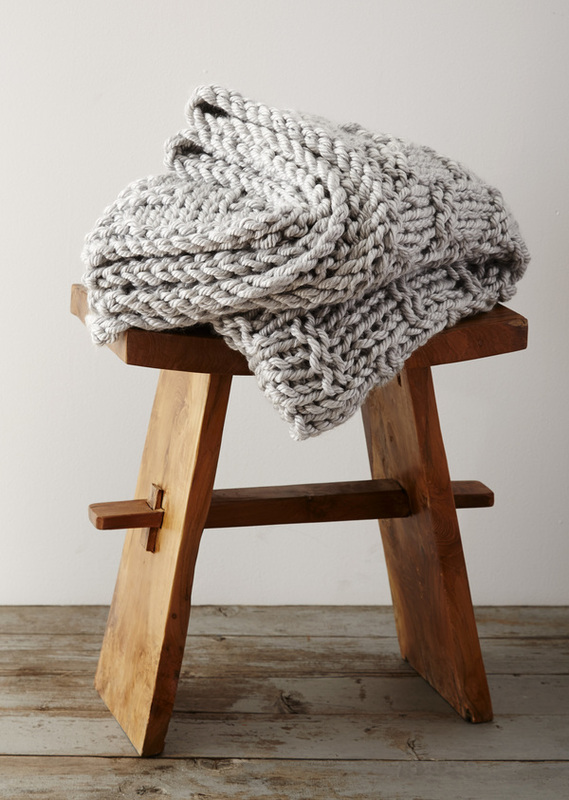 You can knit quickly and make a beautifully textured project when it’s giant. From giant hoop earrings to oversized geometric shapes, oversized earrings are back on trend. 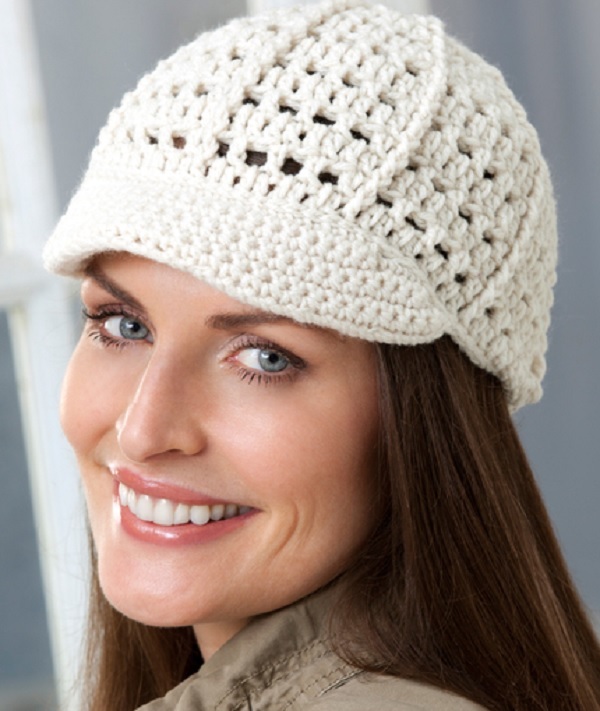 Add a bit of a brim and classic style, and you’ll be wearing a hat that’s ultra trendy for 2018. Never miss a hot new project! Bookmark our most recent articles list to see new projects added every day. Wondering what you missed last year? 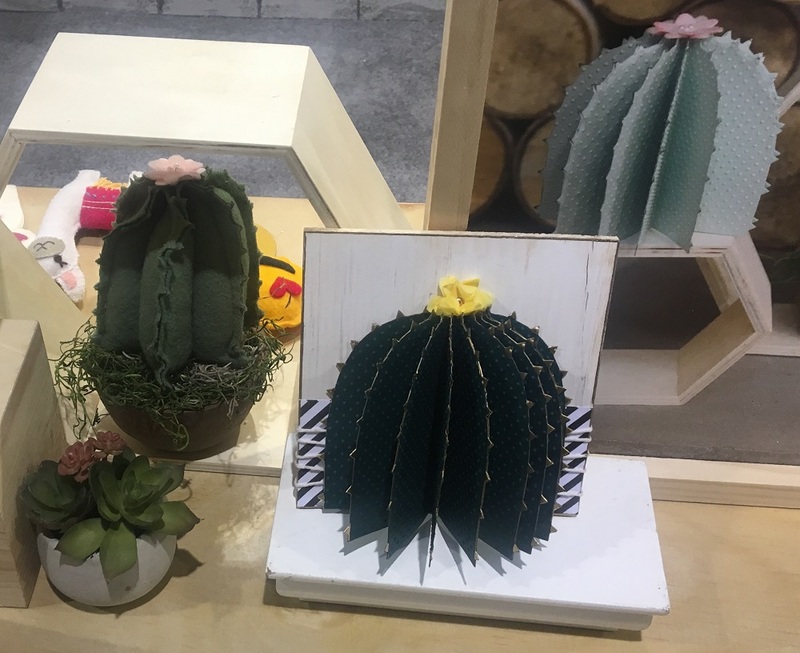 Check out our roundup of Creativation Craft Trends for 2017. What trends are you excited about for 2018? I know. 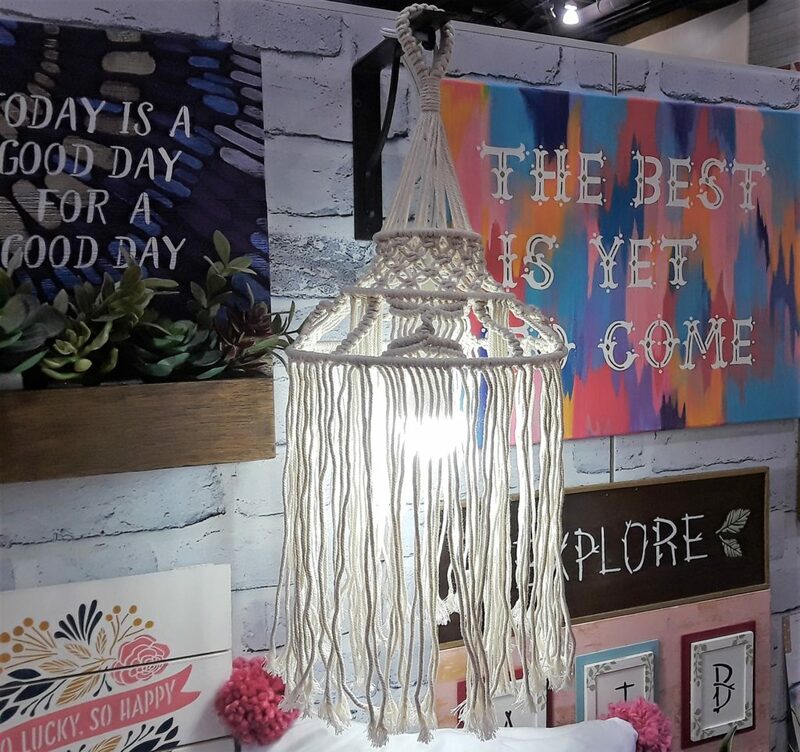 It is hard to imagine loom weaving as the latest craft trend, but as you guys are doing more and more DIY Bohemian decor, weaving crafts fit right in. Rainbow Loom Bracelets are a cousin of good old fashioned weaving, but looms can be as small as hand-held or as big as tapestries. You can make some rustic wall decor with weaving and creating a tapestry. Tapestry? 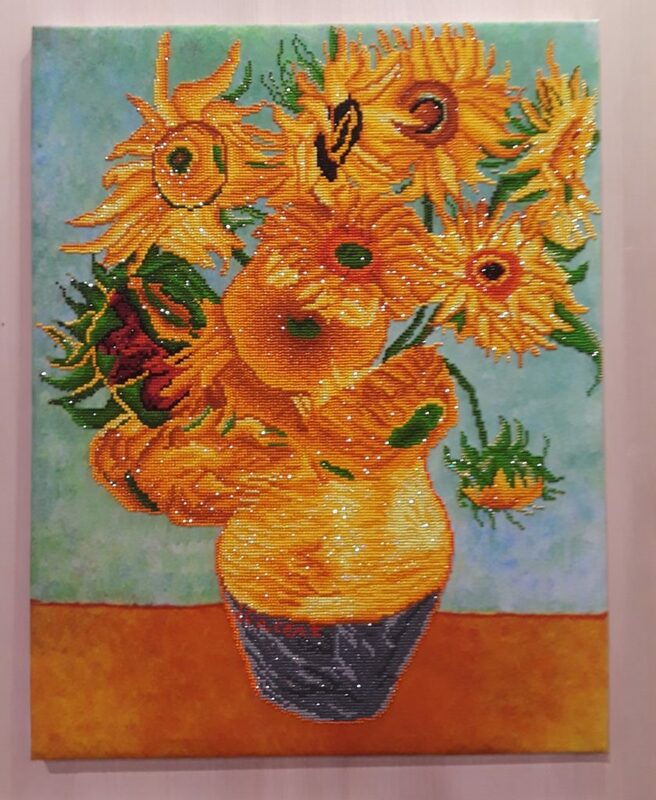 You may think that that form of art has long died out since the Middle Ages, but they are making a comeback into the modern age. So what exactly are tapestries? In the Middle Ages, their main purpose was to insulate large stone castles and protect the insides from dampness. Since they required large looms and many workers to make them to cover expansive wall areas, they quickly grew to be a symbol of wealth and power to be able to commission these wall decorations to be made. Kings would take them on their travels for prestigious status and for comfort in their depictions of their favorite stories or past times for thought and reflection. Pictures of victory battles were commissioned after wars starting in the late 1500’s (source). Until the 18th century, they were completely made by hand and dyed from plants and insects until the first automatic loom was made by Jacques de Vaucanson which made the tapestries far more sophisticated in pattern (source). 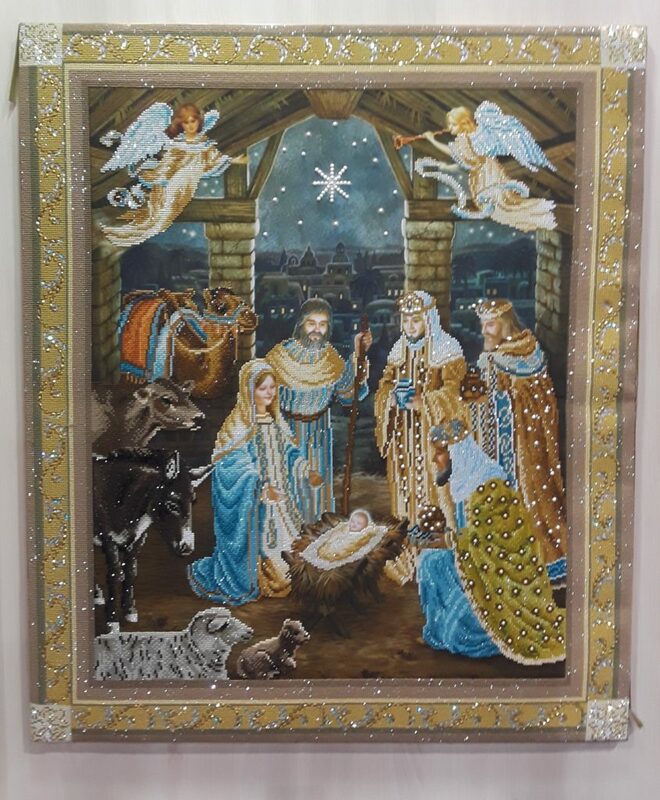 Today, tapestries are rarely hand woven. 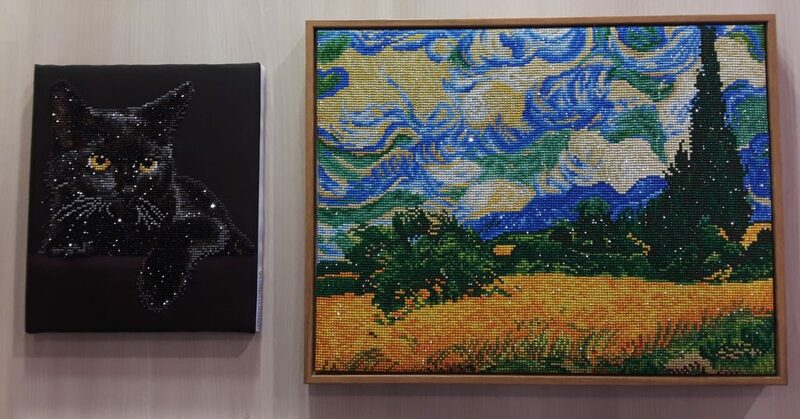 Although the manual labor of hand-weaving has been taken over by machines and an automatic press, the amount of time has been reduced, but they are nonetheless still an intricate piece of artwork (source). I promise I won’t be making you build a huge loom and start juicing pomegranates to make your own DIY wall decor. This is the 21st century after all! No, I will just make you buy the dye instead of juicing fruits and insects, but you still have to make a huge loom…totally kidding. Loom projects may seem super scary just by the history alone, but we still craft even with Martha Stuart in business, don’t we? This is a trade and a skill that you can take with you for the rest of your life. Small weaving projects are a great place to start. You may love this so much that you may want to go big and create your own tapestries. Here are a few projects to get you started! Do you think tapestries and hand-weaving are going to die out with technology taking over? 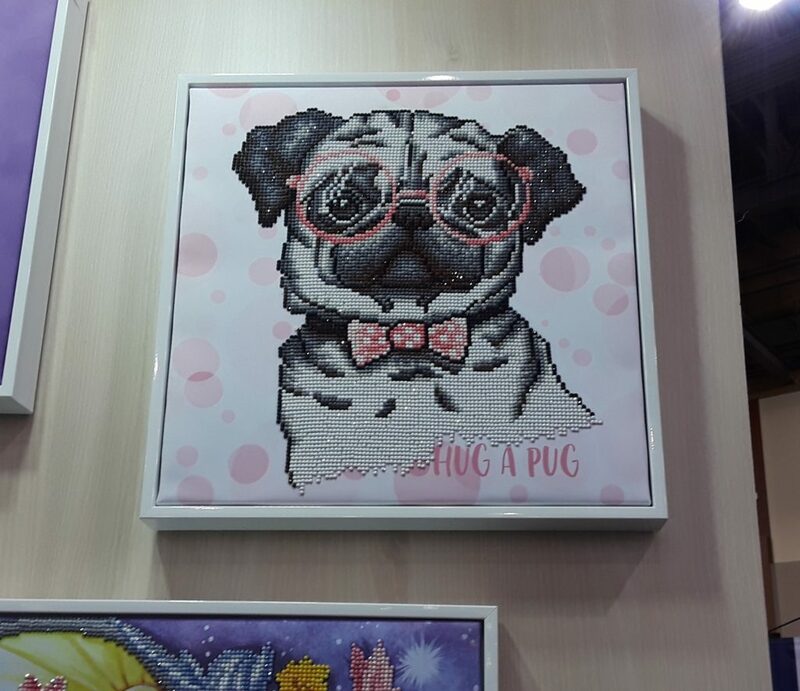 Sew Much Fun: Scenes From SNAP! While I consider myself to be a pretty adventurous person, I must say that I’m always scared to try a new craft. I get so intimidated – What if I don’t catch on? What if I can’t make anything that looks good? Well, during my time at the SNAP! 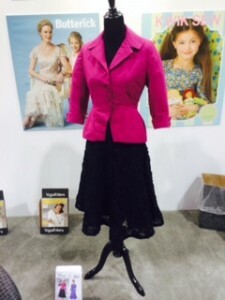 Conference in Salt Lake City, I conquered a major fear and learned something new – I can sew! Sewing was a huge aspect of SNAP! 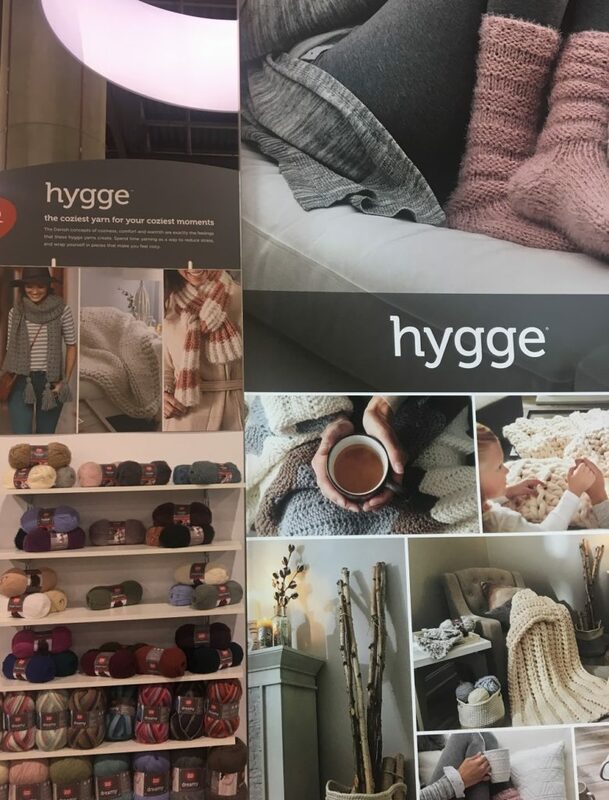 Companies like BabyLock and Simplicity were on hand to show off new products and bloggers lined up to take classes in the sewing room. 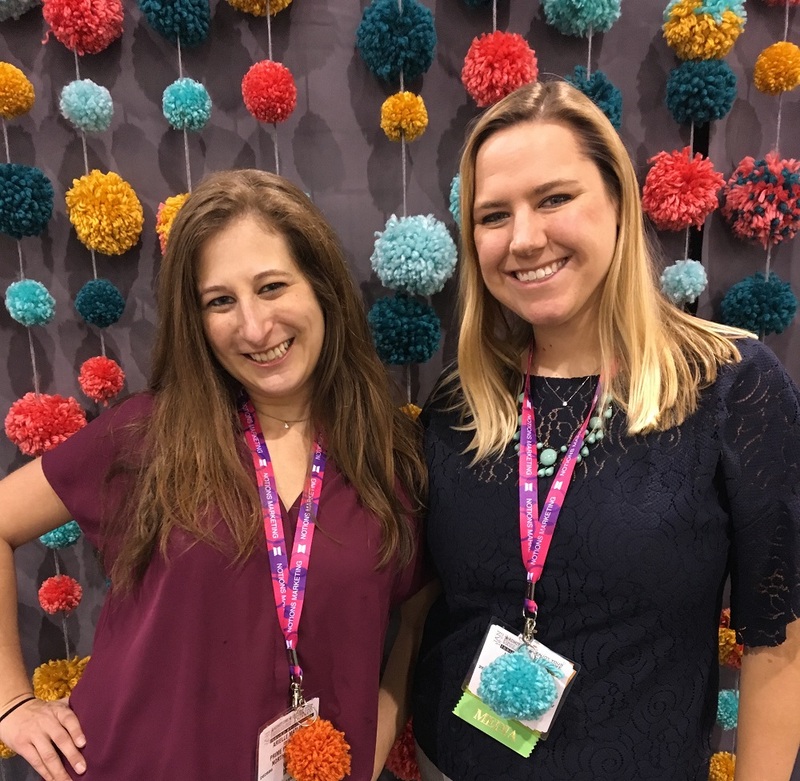 A variety of sewing and quilting classes were taught by top bloggers like Dana from Dana Made It and Amy from Diary of a Quilter. I attended the Silk Screened Knit Patchwork Scarf class without any expectations. However, when I walked in and saw the sewing machines, I started to sweat. Luckily, I made some new friends in my class (shout out to Jonie from Just Between Friends, Karly from Paisley Roots and Crystal from That’s What She Crafted) and with the help of my amazing instructor, Ashley from Lil Blue Boo, I completed a scarf that I actually want to wear! I even took a picture with her that was Elizabeth and liZ from Simple Simon & Co. posted on Instagram. 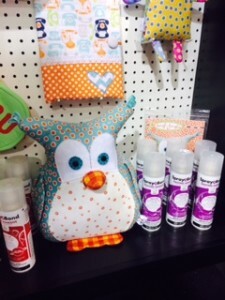 I also had a chance to sew a Tissue Holder at the BabyLock booth. That’s right people, I used a sewing machine twice (after not sewing since Home Economics class in 8th grade). Tori, one of the BabyLock representatives, walked me through the process and made it so easy! Now I have a pretty pink tissue holder to match my handmade pink scarf! I guess now I can call myself a sewer … or at least a sewing enthusiast. But I do know one thing – I couldn’t have done it without my new friends from SNAP! Easy Ragged Baby Blanket from Simple Simon & Co.
Don’t forget – We’re giving away a SNAP! Conference Swag Bag! 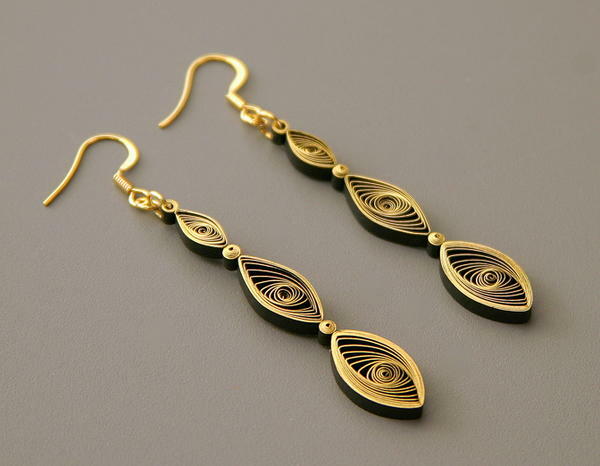 One lucky winner will received everything from stencils to Duck Tape (we even threw in a pair of stylish earrings). 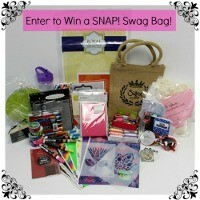 This contest ends Sunday at 11:59 p.m., so enter now! 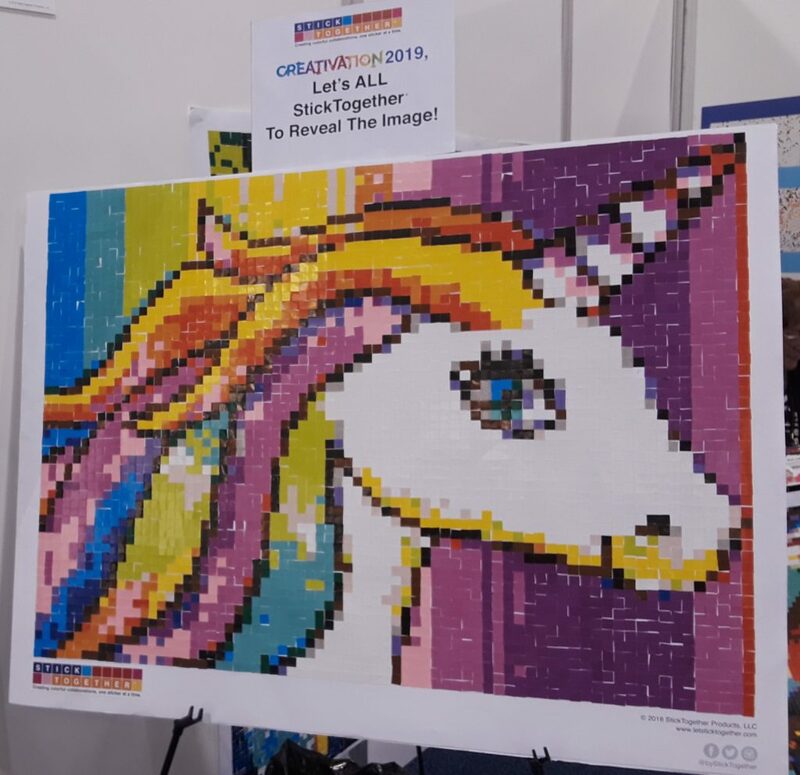 Link Love: Craft to the Future! 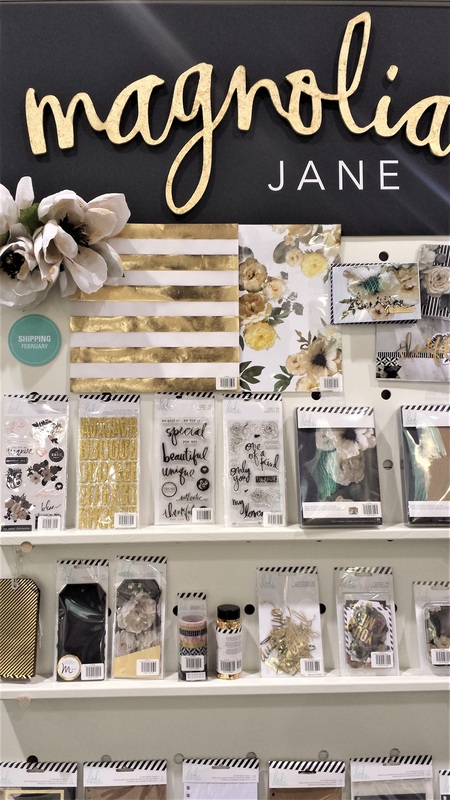 A new year doesn’t just mean a new you – it also means new craft products to look forward to! 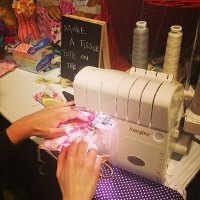 Are you excited about starting up new projects or maybe learning a new technique? Get inspired with some of our favorite new products from top sewing companies. 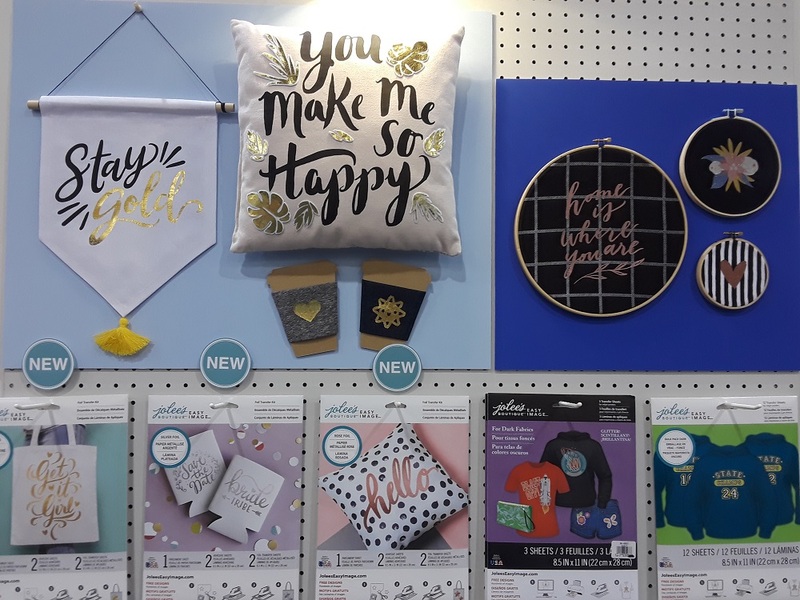 We were thrilled to see some of these products up close at the Craft and Hobby Association Trade Show in January, and we were excited still to hear about what was going to be popular and trendy in the coming year. For starters, how about a new ironing set? The awesome folks at Clover have just announced a new line, the Press Perfect. Right now, they’re offering a 10-piece essentials set, which comes with everything you need to give your ironing process a complete makeover. 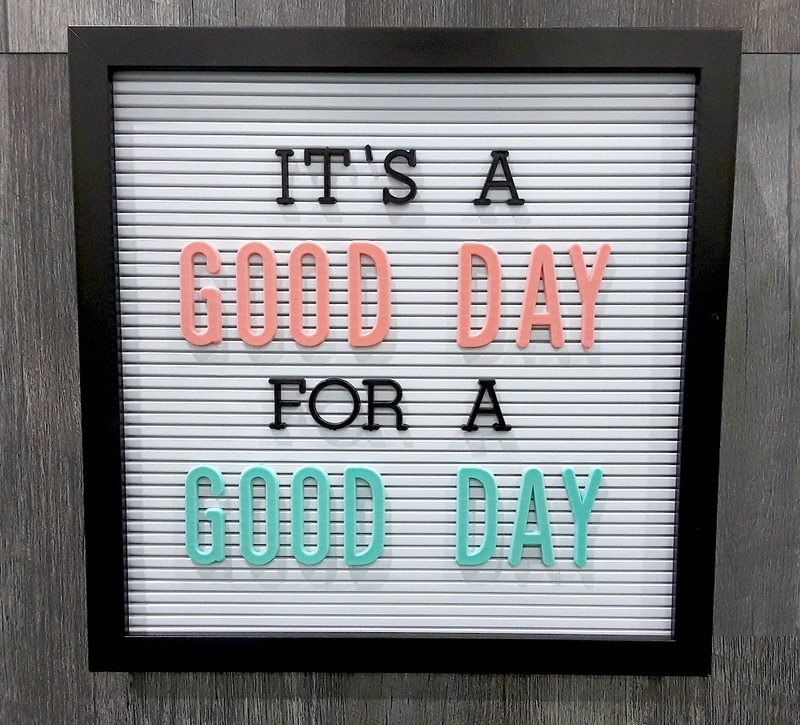 If sewing isn’t your thing, Clover also has new products out in the realms of jewelry making and crocheting with their large Tatting Shuttle and steel crochet hooks. 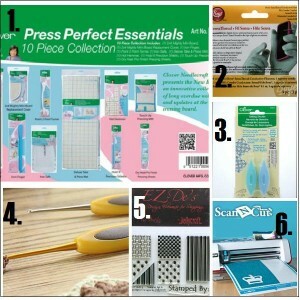 The paper crafters out there might be familiar with various types of cutting machines, but the Scan n’ Cut from Brother is also perfect for sewists, quilters, and anyone that loves appliques. 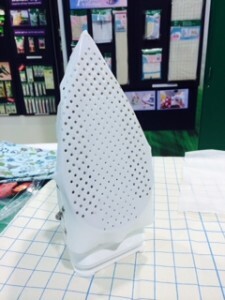 This first-ever combination scanner and cutter can easily cut fabric to use as quilt blocks or intricate appliques without needing a computer or any additional software. This all-in-one tool is just what you need to create perfect one-of-a-kind projects. 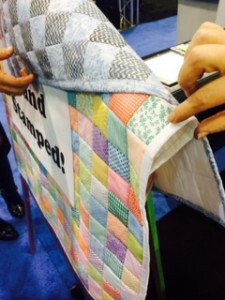 Next up – faux quilting! Now you can create quick and easy custom designs on fabric. 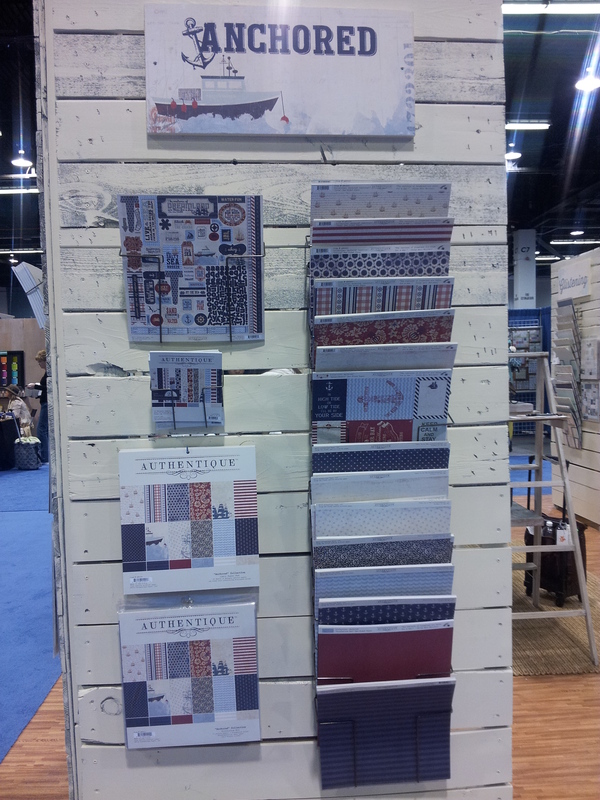 Ann Butler of Creativity Stirs the Soul and Kelly Craft have teamed up to create a line of fabric ink stamps. With these stamps, you can choose the look and color of each of your quilting squares, guaranteeing a unique project every time! Each package of designs comes in various shapes: squares, rectangles, triangles, etc. so you can better perfect the perfect look. There’s also a set of letters to use for monogramming or personalizing your finished work. Finally, we have conductive thread. If you aren’t familiar with it, it’s a type of thread that can conduct electricity. With this type of thread, you can easily make gloves that will work on any touchscreen device, for example. There are many different varieties, all with varying thickness and price, but you can find some at CutRateCrafts! What new product are you excited to try? 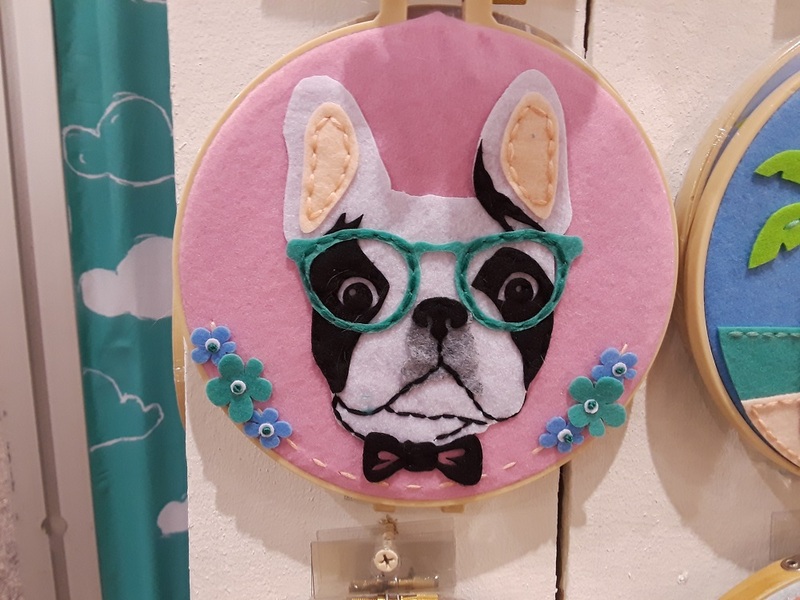 “Mixed media” is one of the most intimidating phrases in a crafter’s vocabulary, but, on behalf of AllFreePaperCrafts, I’m here to tell you that it shouldn’t be. 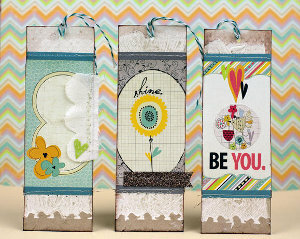 Mixed media crafts can be super simple, and you’re guaranteed to get some incredible results. 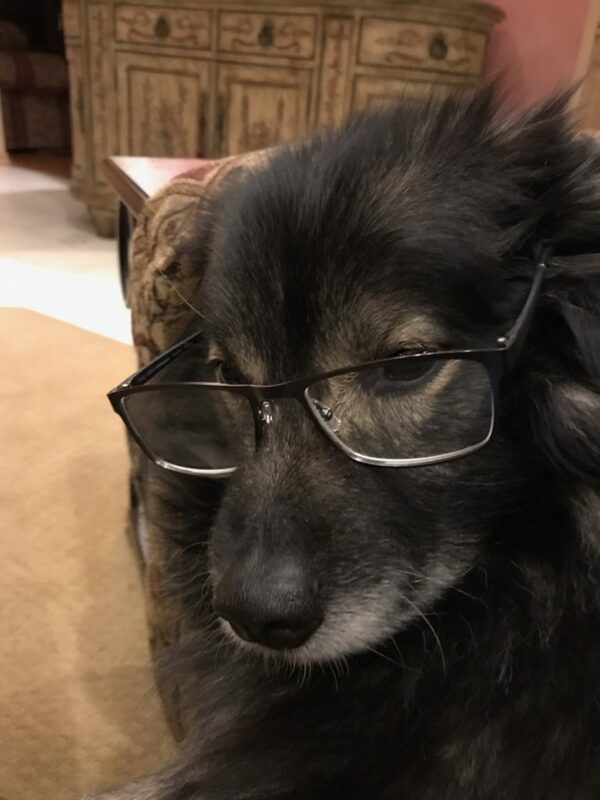 Shaking your head already? 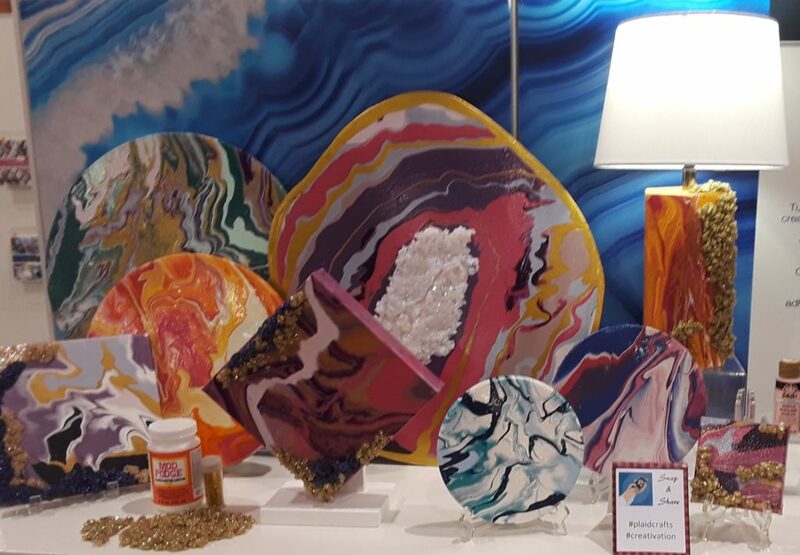 Stick with me as I bust some common myths about this ultra-cool art form that’s taking the crafting world by storm. Myth 1: There is no such thing as an easy mixed media project. Most likely, you have some experience with mixed media already. If, for example, you painted heart on the front of a card and stamped it with a holiday greeting, you’ve done mixed media. 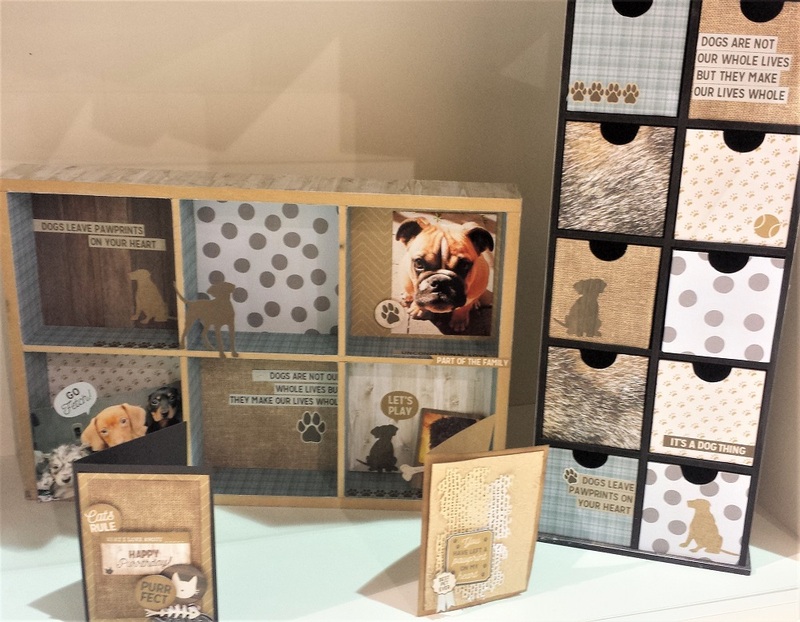 Sharpen your skills with easy mixed media project ideas like this Mod Podge Photo Transfer Block. The finished product may look like it was made by a professional, and that’s part of the beauty of mixed media. Once you master the technique, you’ll be able to crank out photo blocks for every occasion, and I guarantee that this delightful gift will be accepted with a smile. Myth 2: Mixed media crafts are too expensive. 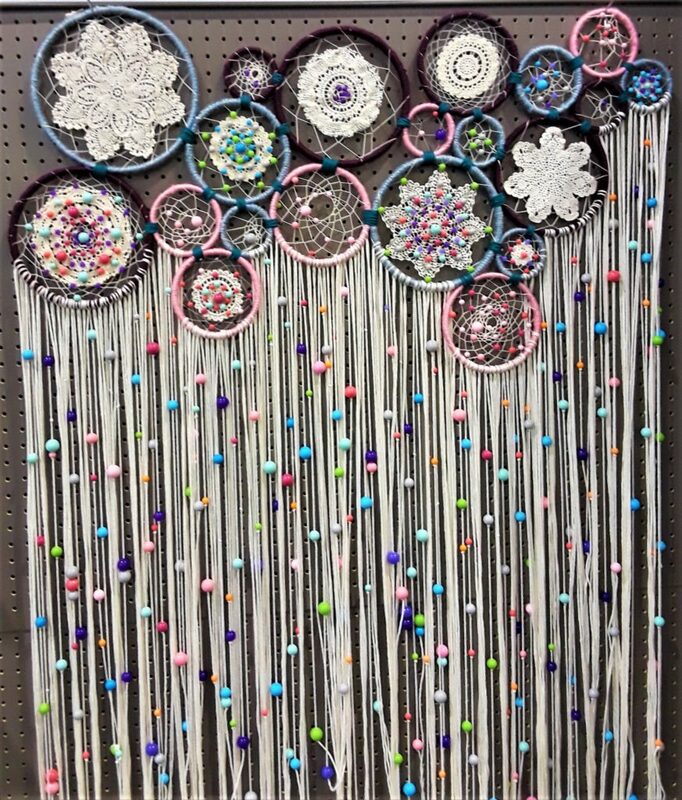 Crafters tend to shy away from mixed media projects because they look as if they cost a fortune to make. Luckily, not every mixed media craft comes with a laundry list of fancy supplies. Some of the tutorials on AllFreePaperCrafts only call for a handful of materials. 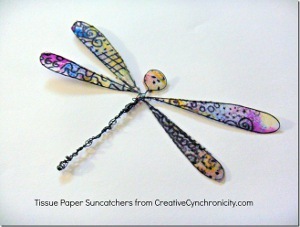 Check out this Tissue Paper Dragonfly, a beautiful piece of mixed media art for beginners. You can hang it in your window and enjoy the pretty patterns it makes on sunny days. As its name implies, the main material you need for this project is tissue paper, and you probably have some from Christmas. Layer the paper, decorate it with markers, and you’ve got the makings of a gorgeous pair of dragonfly wings. Best of all, it didn’t cost you a dime! Myth 3: Mixed media projects are too fancy for down-to-earth crafters like us. Mixed media has a reputation of being a little, well, stuck-up. Shake that stereotype by trying some mixed media projects that are intended for daily use, like these Beautiful Mixed Media Bookmarks. Not only are these DIY paper crafts endlessly useful and totally adorable, they also give you an excuse to play with ribbon, fabric scraps, glitter paint, and more. 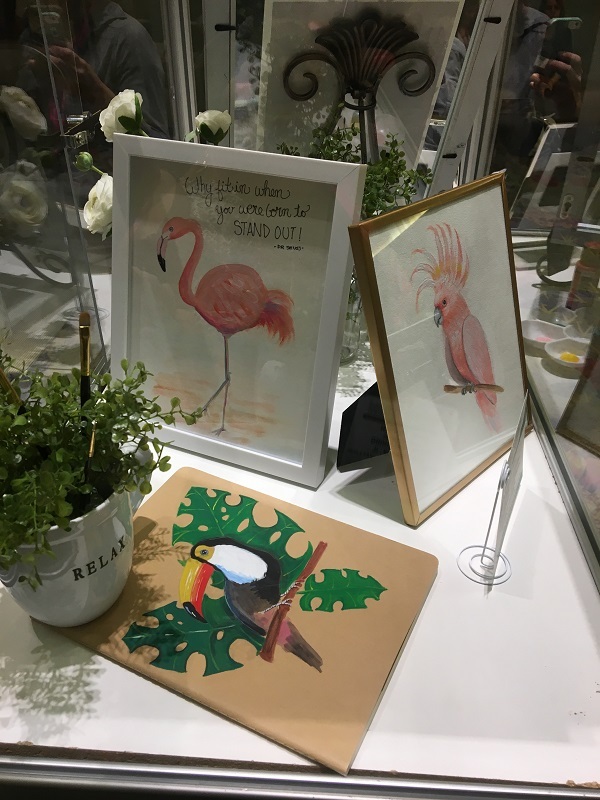 With all of these simple, inexpensive mixed media ideas at your disposal, there’s no need to avoid this popular art form any longer. 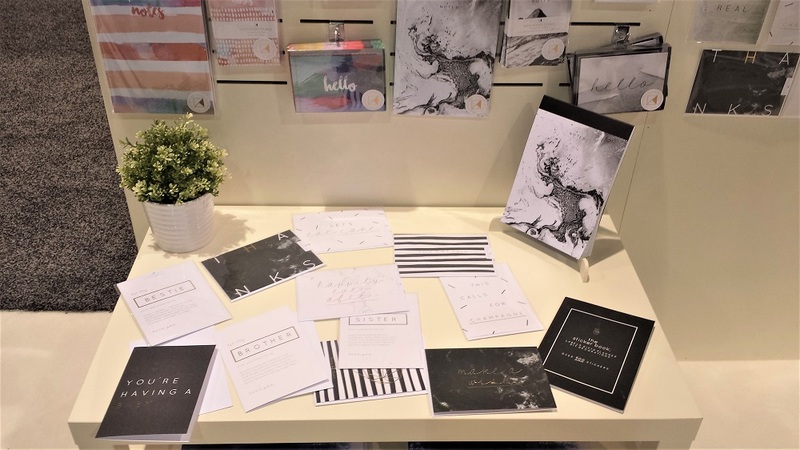 Are you ready to give mixed media a try? Which of these projects would you like to make? 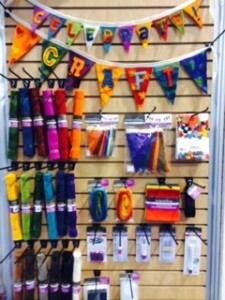 AllFreeSewing was thrilled to explore the Craft and Hobby Association Show in Anaheim this year. 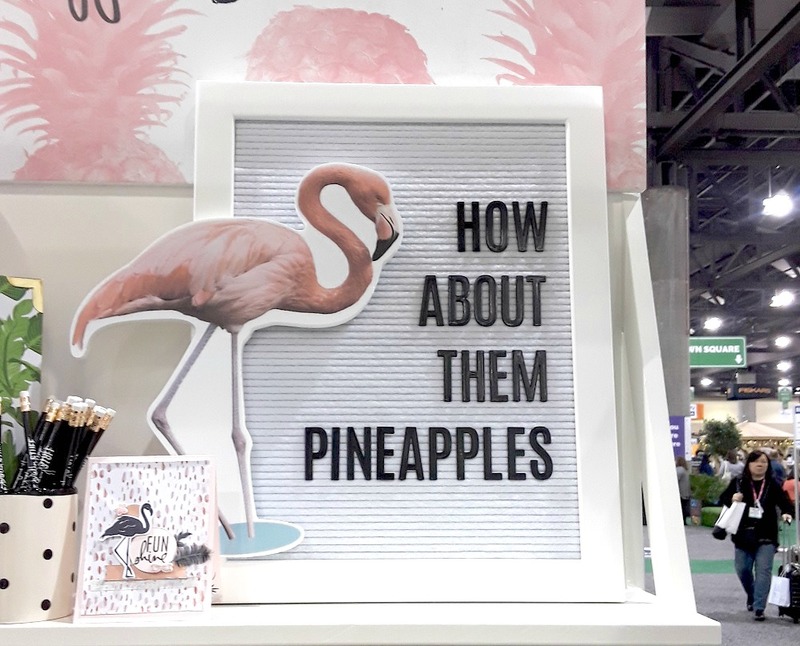 With all of the new products, amazing bloggers, and eye-catching displays set up it was more than a little difficult to keep our focus. 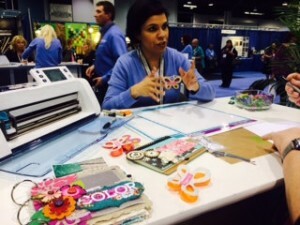 Regardless of our enthusiasm we still managed to get the scoop on what the latest trends are for sewing and fabric. So, what’s on the radar for all things crafty? We saw a lot of attention this year towards time-saving products and fine materials. 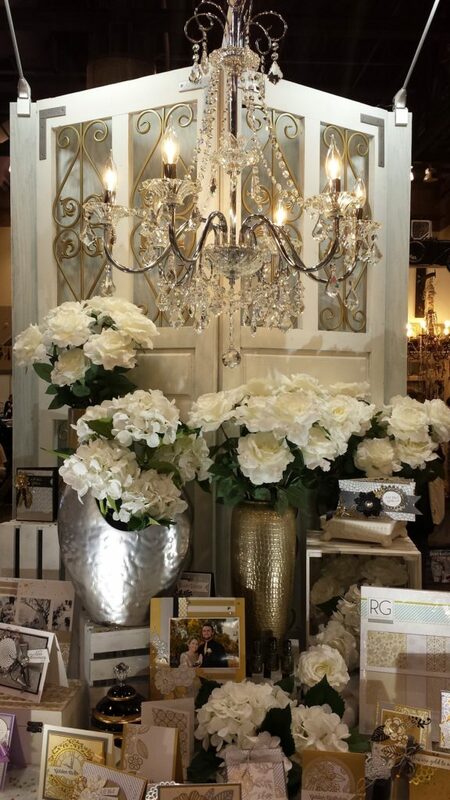 Color will also have a huge presence in your 2014 projects, so get ready for something fabulous. Products from Simplicity, Green Sneakers, Crystal Ninja, Camelot Fabrics, and more reminded us that new crafting techniques are always available. Ribbons are all the rage this year. 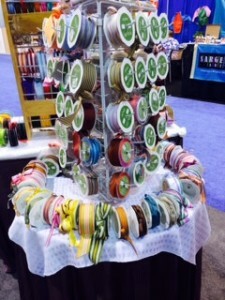 At the May Arts Ribbon booth tons of ribbons flaunted various colors and designs. Of course these notions can be used on any kind of craft, but as hems and embellishments they’re perfect. We even came across The Ribbon Print Company’s amazing custom printing machine. 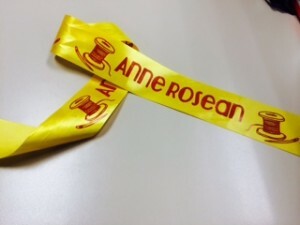 With this innovation you can print your own personal ribbons for your business or personal crafts. The software allows for printing more than just letters. 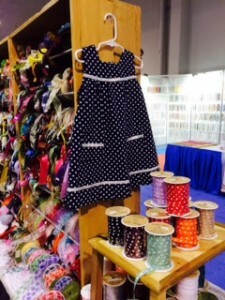 AllFreeSewing editors noticed no shortage of color at CHA. 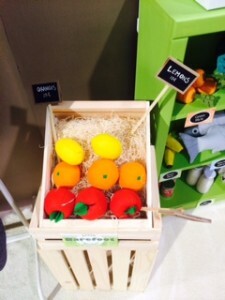 Starting with the 100% wool fruits and veggies at the Barefoot Fibers stand, we saw bursts of color everywhere. Therm-O-Web provided astounding shocks of color in their designer displays. 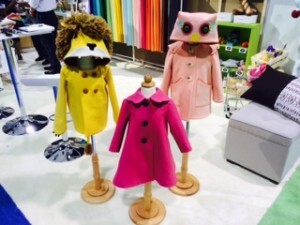 Whether in the form of an owl or plush sewing machine, color was everywhere you looked. If you’re going to put the time into sewing your own wardrobe, make sure the fabric matches your efforts. Bright and bold looks kept catching our attention. These projects weren’t just for the kids. Besides Barefoot Fabric’s cute coats and The McCall Company’s darling dresses, we saw color creeping into adultware too. 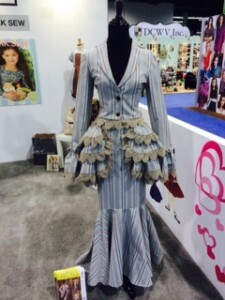 The McCall Pattern Company wowed us with their designs. 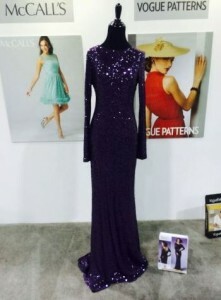 As a giant in the sewing community we knew they’d have fabulous finds, but our jaws dropped when this Vogue Badgley Mischka glittered under the CHA lights. If you’re on the lookout for patterns that can handle bolds, go for classic designs that will flatter your figure. Seriously one of the coolest innovations at CHA was Ann Butler’s line of stamps. 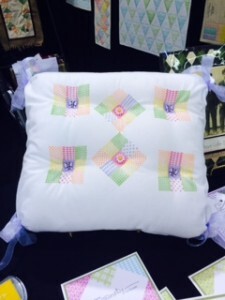 If you don’t have the time or money to devote to an entire quilt, you can simply stamp your art to give the effect of a quilt! After it’s pressed this ink doesn’t wash away! What has the sewing and paper crafters excited is Brother’s new Scan n’ Cut machine. Instead of struggling with fussy cutting you can indulge in your favorite shapes and delicate letters without picking up a pair of scissors or a razor blade. At Clover we fawned over this new Iron Safe. The materials for your projects can now be protected with this simple guard. 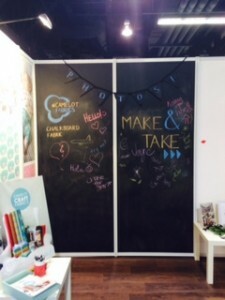 We had so much fun exploring everything new to the crafting community. 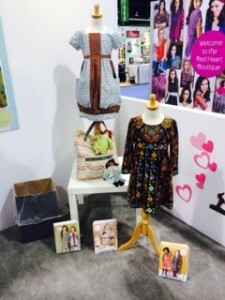 A BIG thanks to all of the lovely companies and bloggers for their time during the show. We’re already counting down for next year! 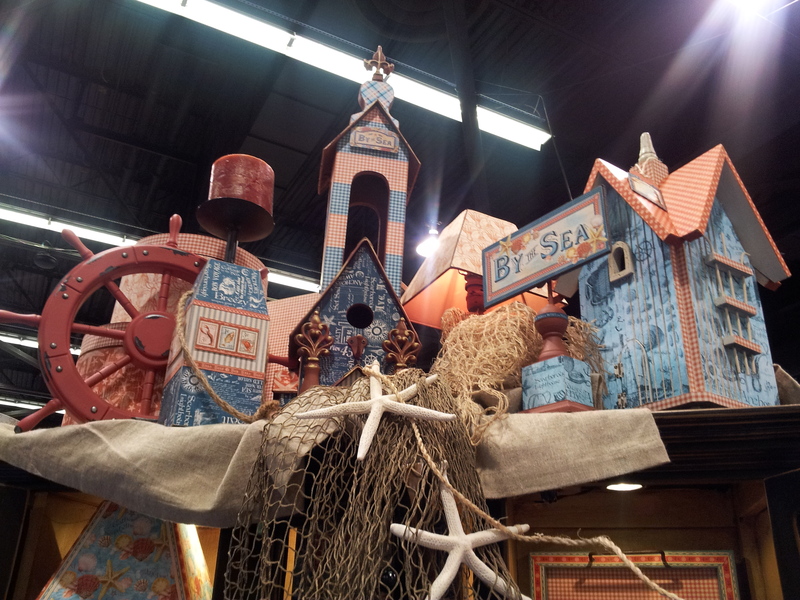 Nothing But Nautical: Anchors Away at CHA! The California sunshine was a welcome surprise to the Prime Publishing team at this year’s winter CHA Trade Show. 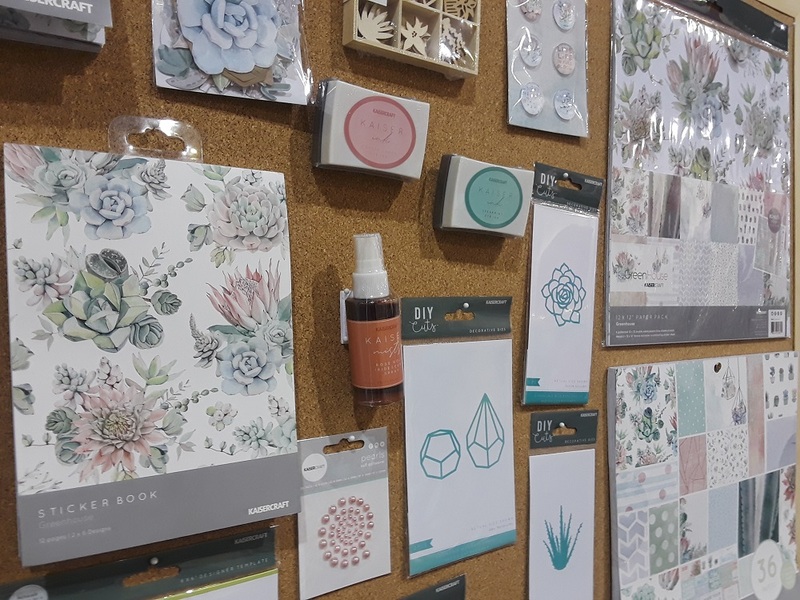 We left the cold Chicago snow behind and headed out west to Anaheim for a week filled with all kinds of crafting classes and seminars, as well as several networking events and a sneak peeks of upcoming releases and craft products. We’re excited to share all the fun stuff we learned with you over the coming week, so let’s get things started with some popular trends! 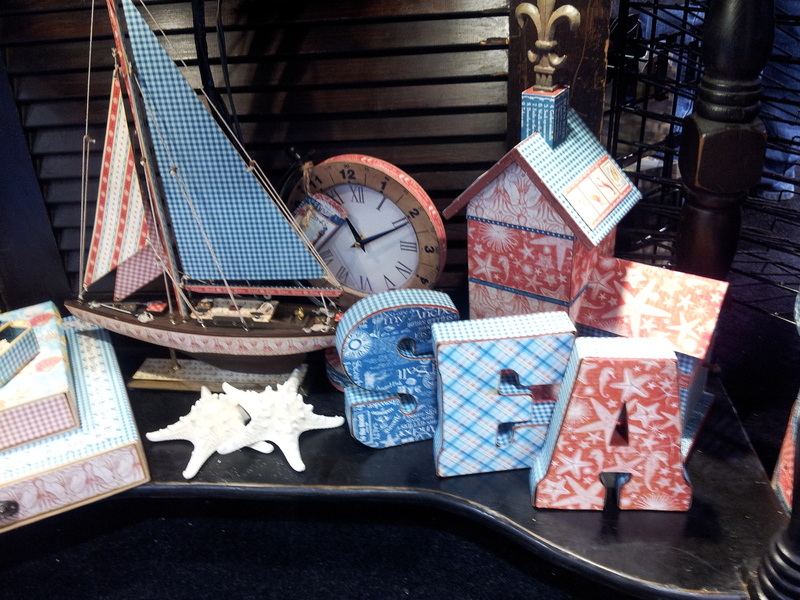 One trend that took CHA by storm this year was nautical craft supplies. From anchors to sail boats, seashells to seahorses, everything and anything under (and above) the sea found its way through the doors of CHA. Here were a few of my fave’s! 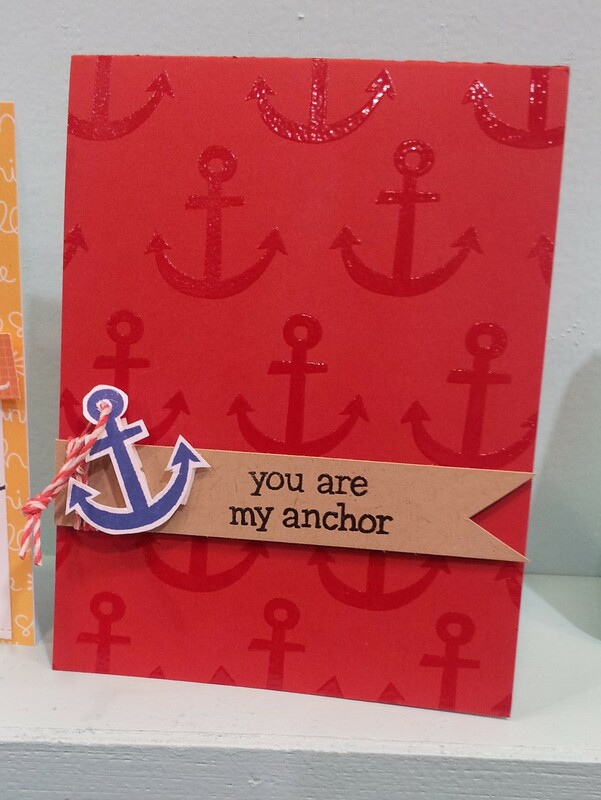 This adorable card from Lawn Fawn was made using their new stamp set, “Float My Boat” (available soon!). Great for Valentine’s Day or just any time you want to tell someone how much they mean to you, this card is a fun and easy one to make! 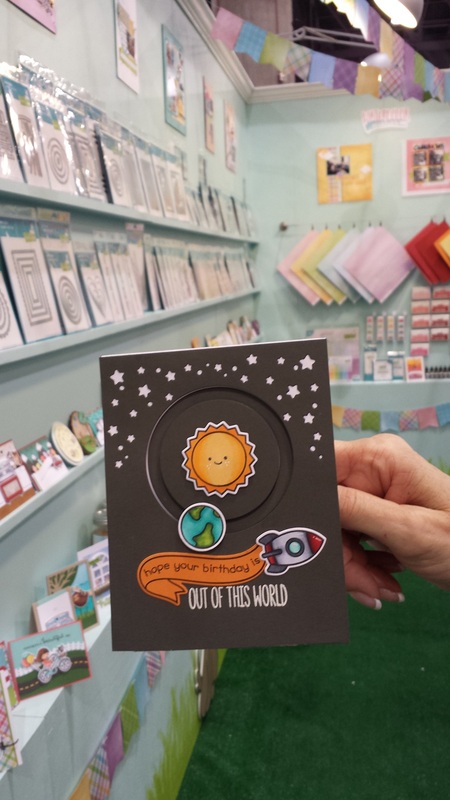 This cute card trio from Ranger Ink is great for those who are looking for a fun and easy way to send a friendly greeting. 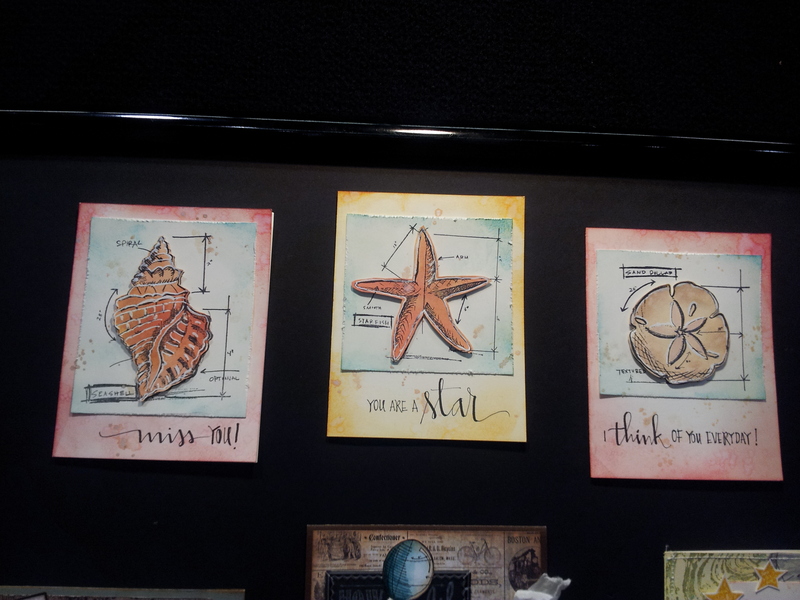 I love all those cute little shells and they would look adorable framed hanging in a beach-themed bathroom! 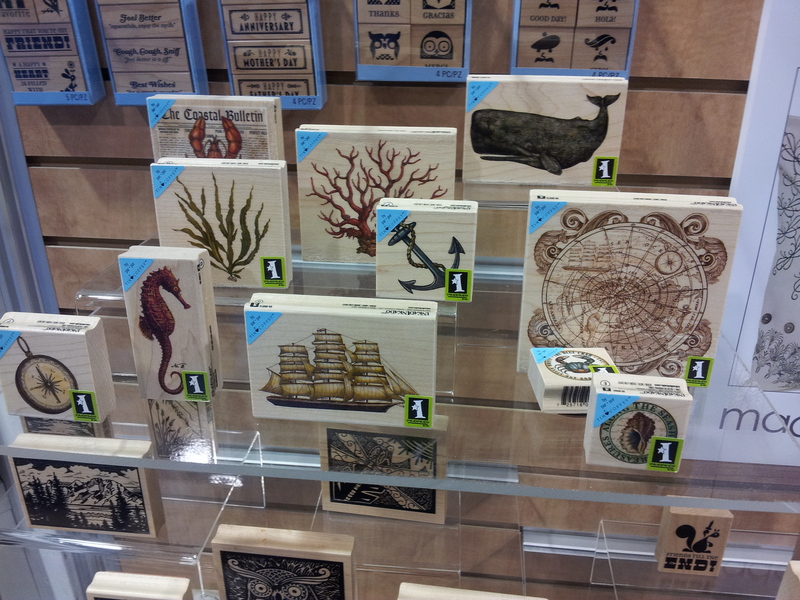 Stamp fans might also love this classic sea-inspired stamp collection from Inkadinkado. With iconic images like whales, seashells, anchors, and sea plants, this collection is a must have for those who love ocean life. 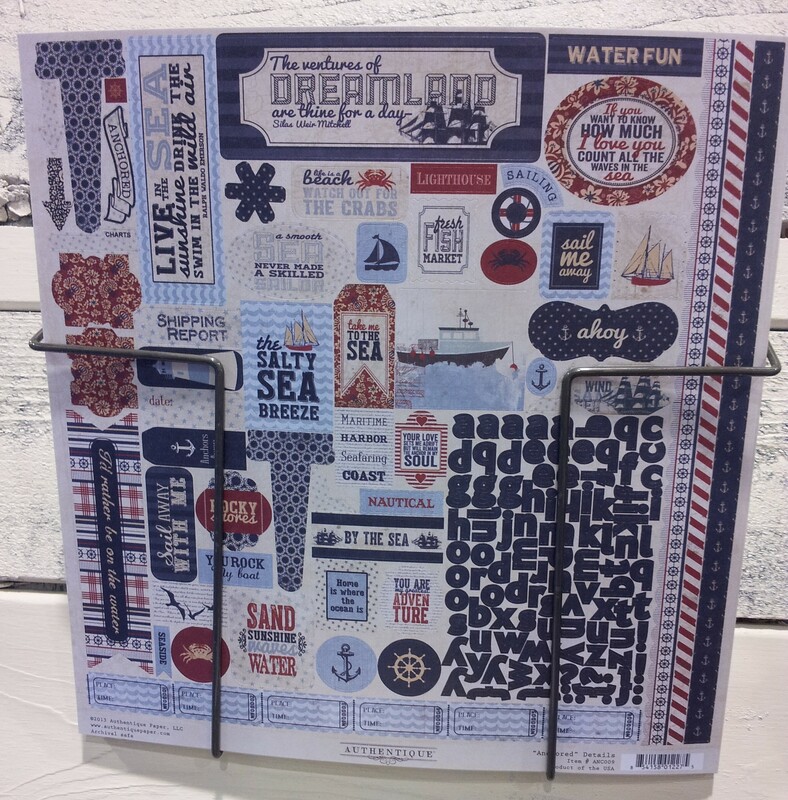 Our friends over at Graphic 45 were also inspired by the sea, with this nautical collection of paper products. I think they did a great job finding new uses for scrapbook paper and they definitely made me want to take a day off and head out to the beach! 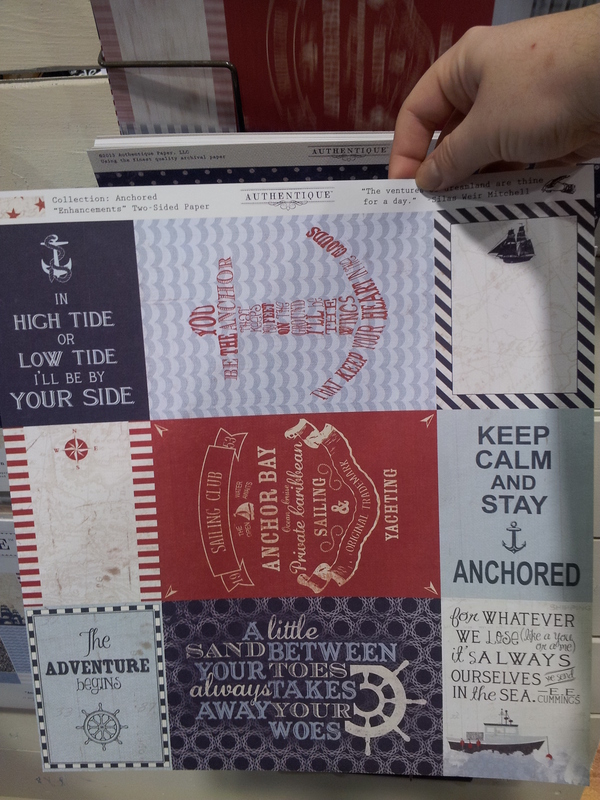 Finally, Authentique Paper had some really sweet nautical paper patterns that would be great for a seaside scrapbook or card collection.